Do you find them in the sand or in snow? Do you know how they look? 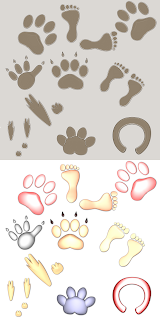 I looked at the paw of my cat and I thought it would be a good idea for my icon set. Why not, I try it, I said. 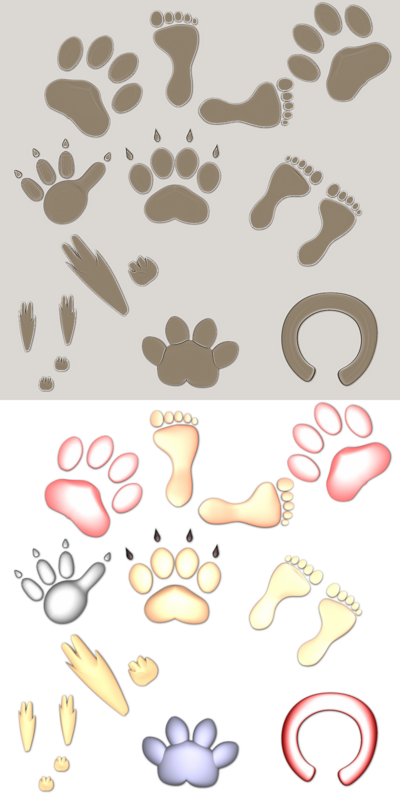 Human, dog and cat tracks I knew, and for other I took inspiration in Google images. The others belong to: horse, rabbit, mouse and hippo tracks.